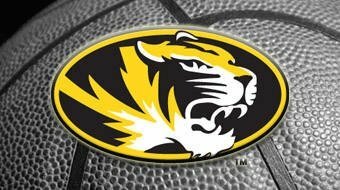 This past week, New Missouri Head man Frank Haith has hired most of Staff. And by all accounts, he's assembled a fine one. On Wednesday, he announced his recruiting coordinator to be Tim Fuller, Bench coach Ernie Nestor, and Strength and Conditioning Coach Todor Pandov. By Friday, Isaac Chew had been added to the staff. I will give a little background on each of these new coached. Tim Fuller - Great Recruiter. Last year was a member of Rick Pitino's Louisville staff. He played at Wake Forest on some great teams with Tim Duncan. After his playing days were over he spent time all around making some great contacts in the basketball world. He also spent time as a rep for Nike. Fuller has stated that Frank Haith is like a father to him (Haith was an assistant at Wake Forest when Fuller was a player) and is looking forward to working with him in Columbia. Ernie Nestor - An Excellent coach who has been around winners in the NCAA for 35 years. Along with Assistant coaching stints at Wake Forest under Dave Odom, He was also a head coach at Elon University and George Mason. Should help Haith with the X's and O's aspect of coaching (something he is said to need help with). Todor Pandov - Pandov was Haith's Strength and Conditioning Coach in Miami. He is Bulgarian and A former college basketball player at Western Kentucky. Isaac Chew - A great young assistant with ties to Kansas City. He played for Avila in college and was an AAU coach for Kansas City Pump-N-Run, the same program that current Tigers Michael Dixon and Marcus Denmon played for. AAU coaches are a tremendous help in recruiting. Chew's ties with the Kansas City area and AAU will be an asset for Tiger Basketball. Most recently Chew coached for a very successful Murray State program and was instrumental in bringing a Kansas City recruit to that program. With these winners in place, I hope Missouri fans feel better about their future than they did when Frank Haith was hired. I know I do. They really have their work cut out for them with several scholarships opening up next year.